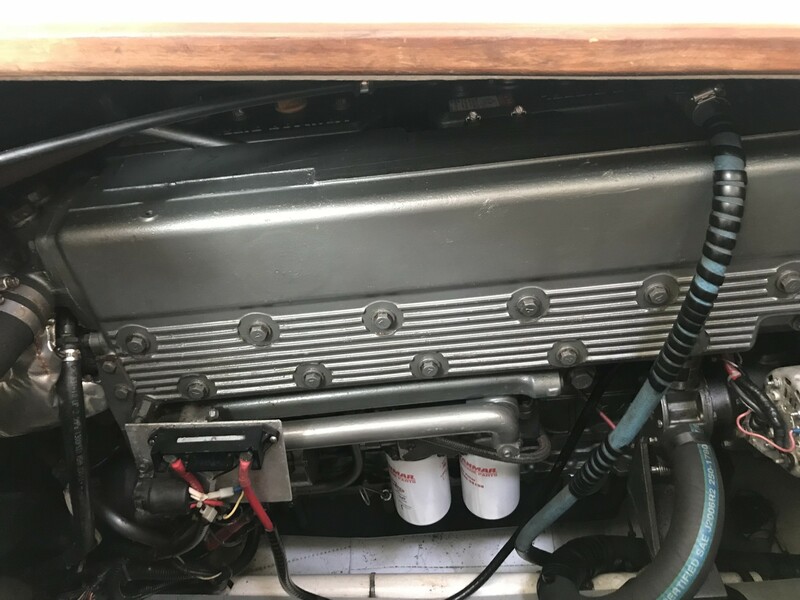 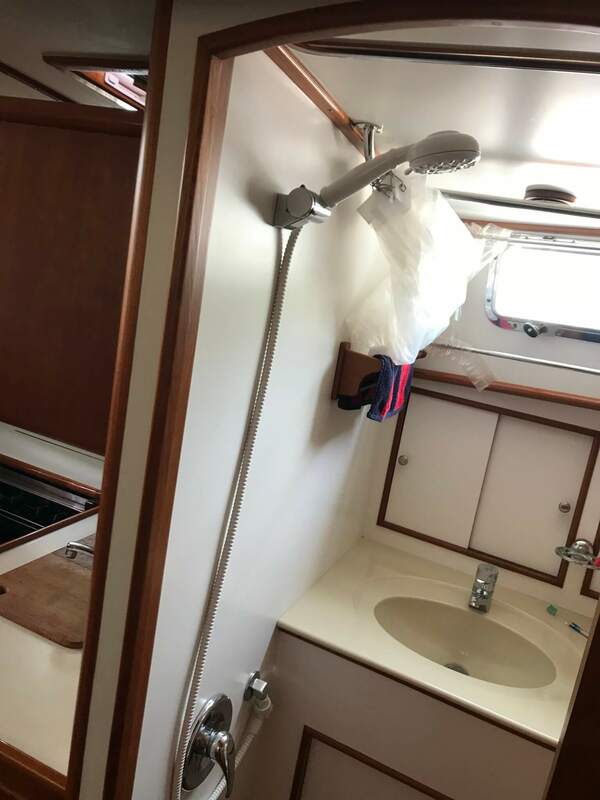 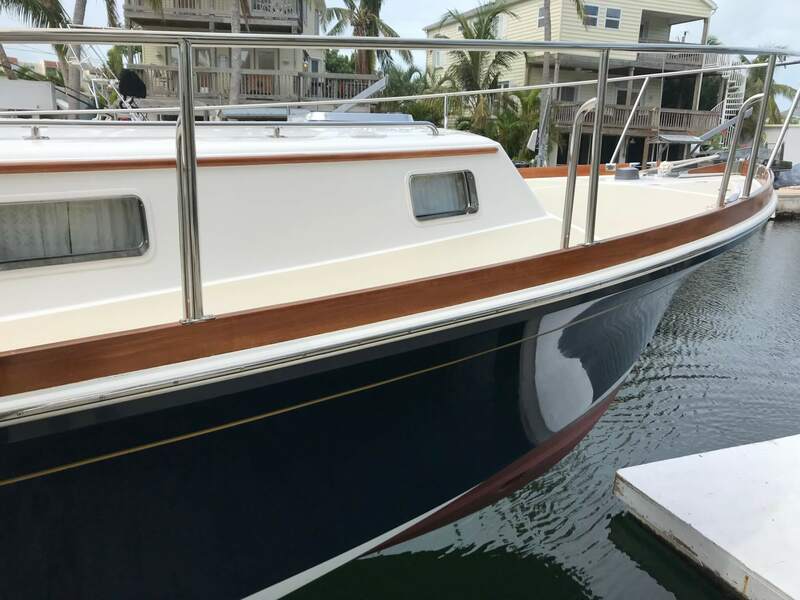 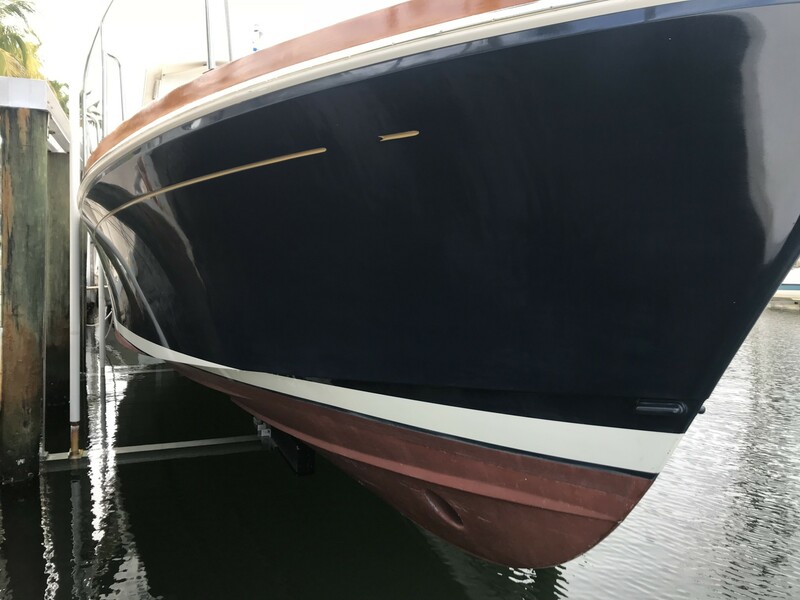 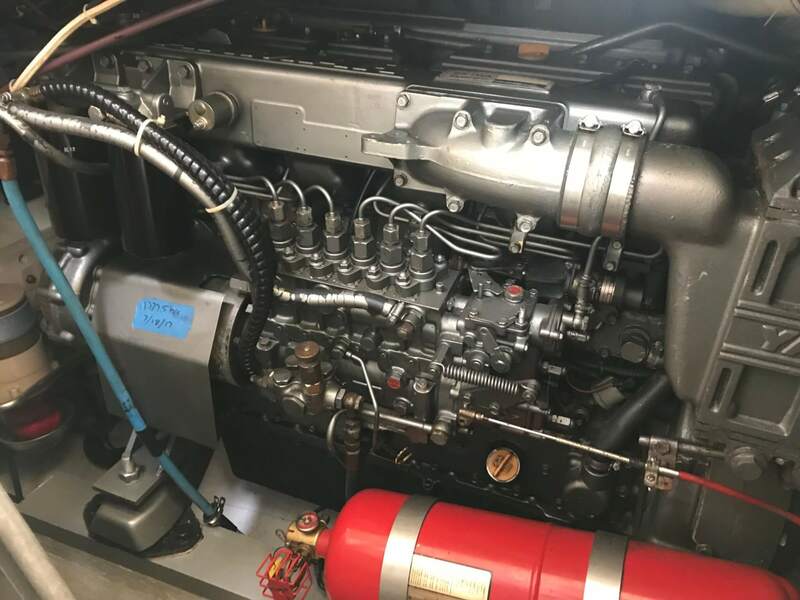 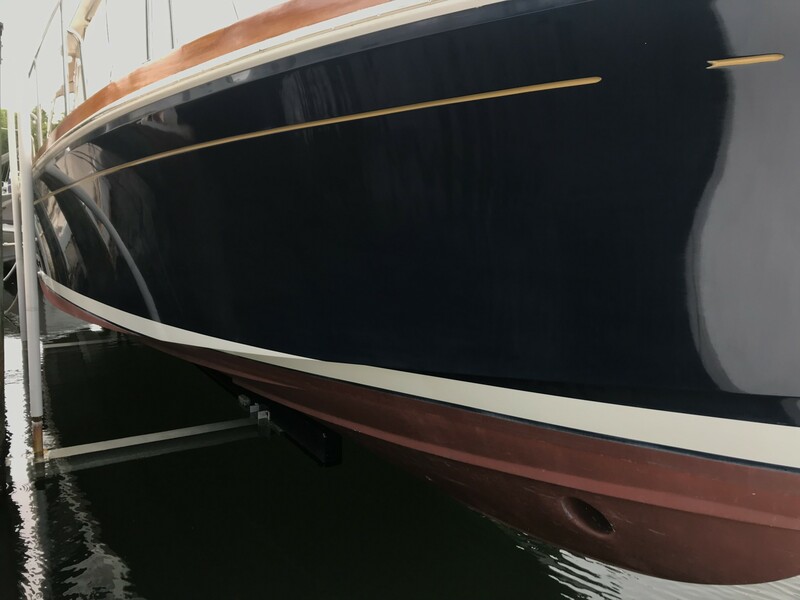 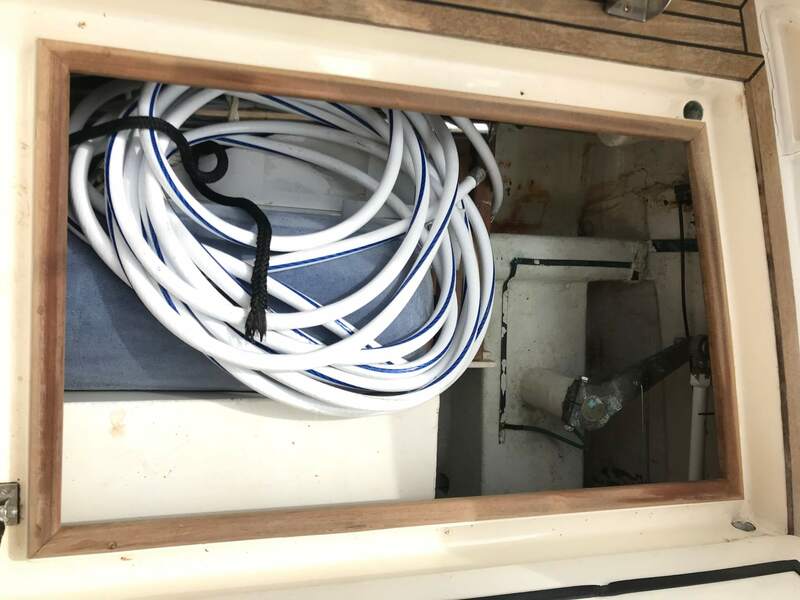 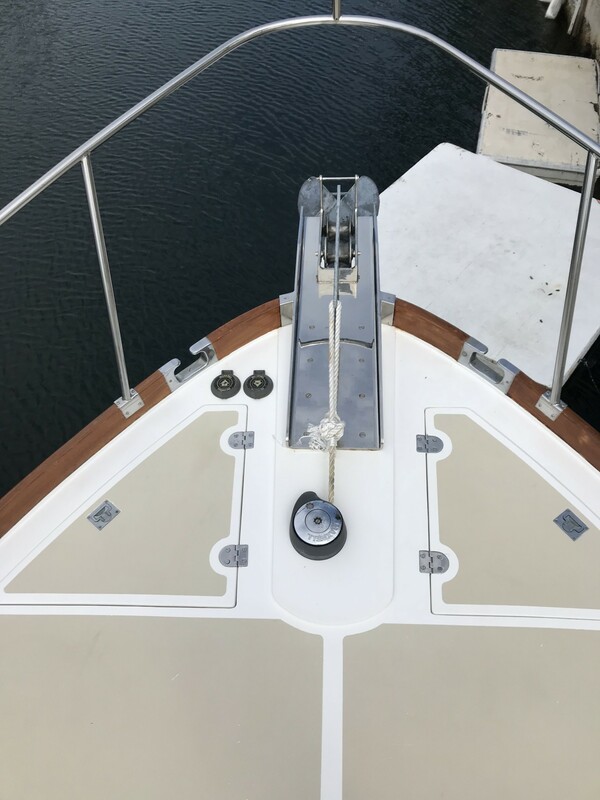 Clean example of Grand Banks popular East Bay 38. 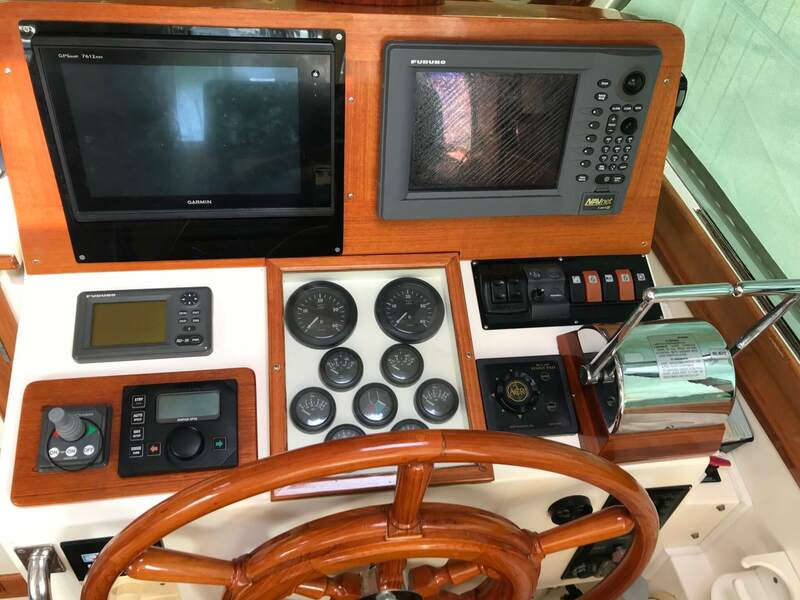 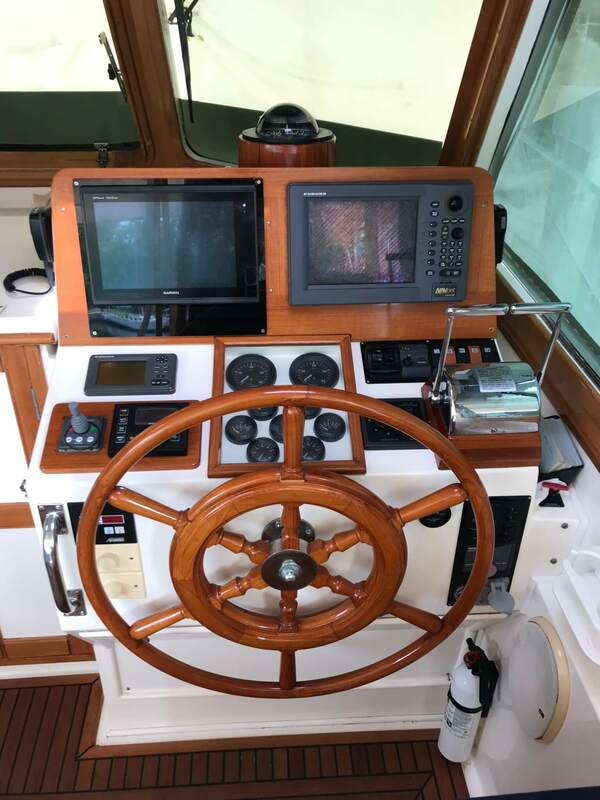 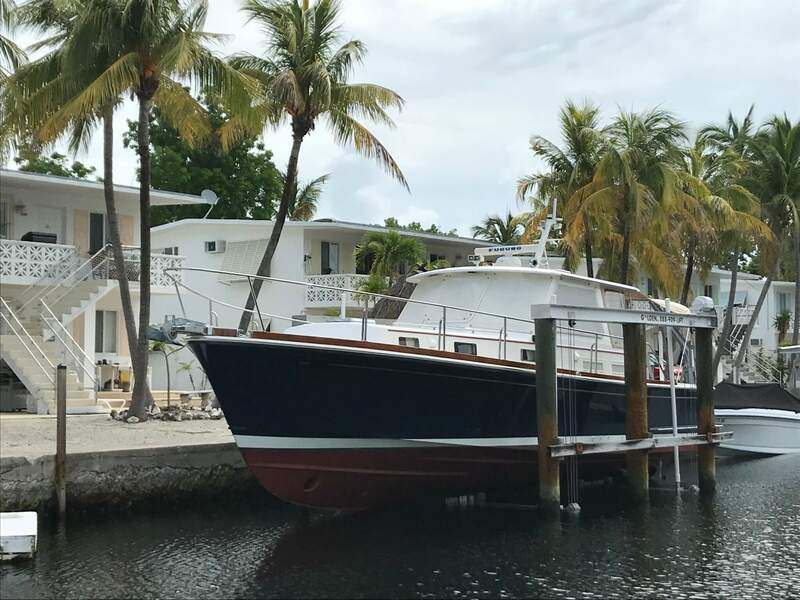 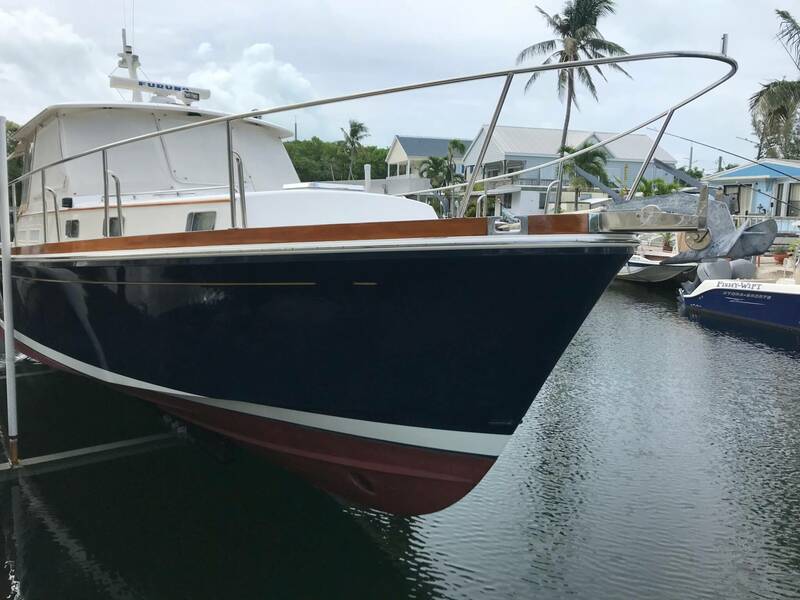 Owned by a life long yachtsman, and enjoyed by him and his family for the past 15 years. 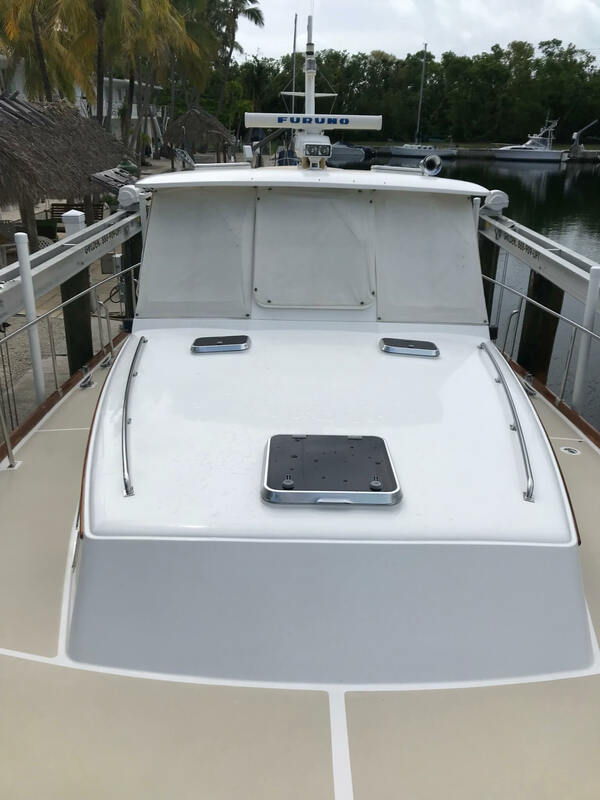 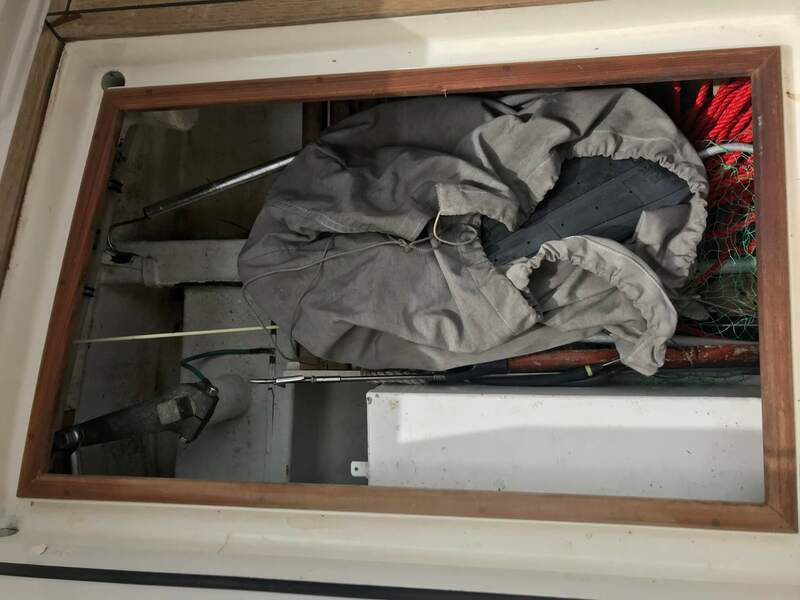 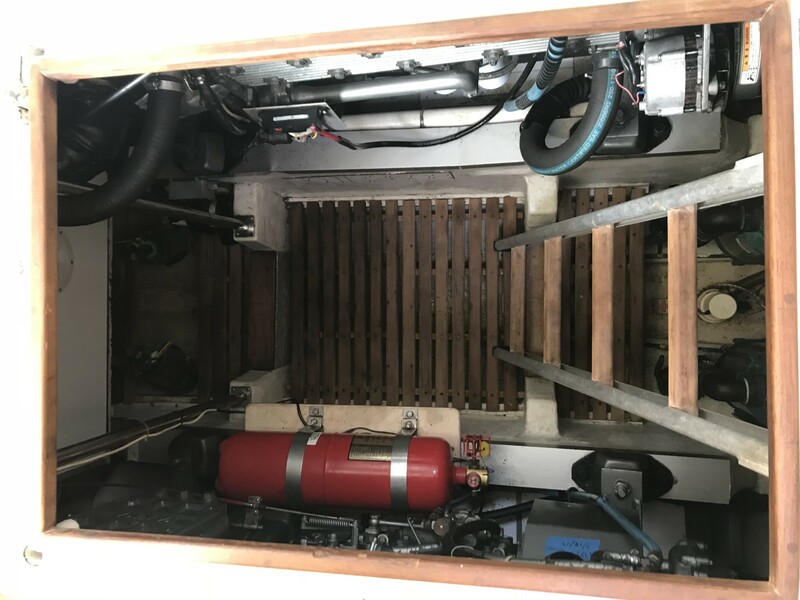 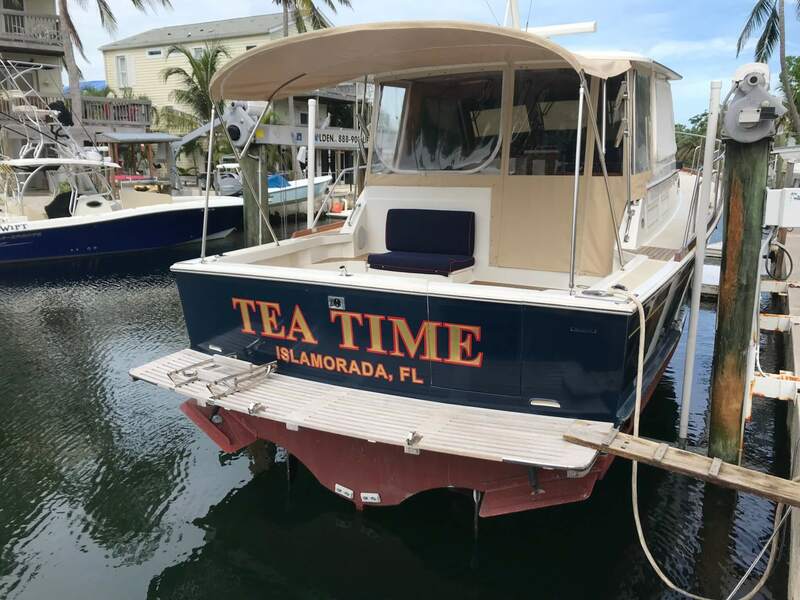 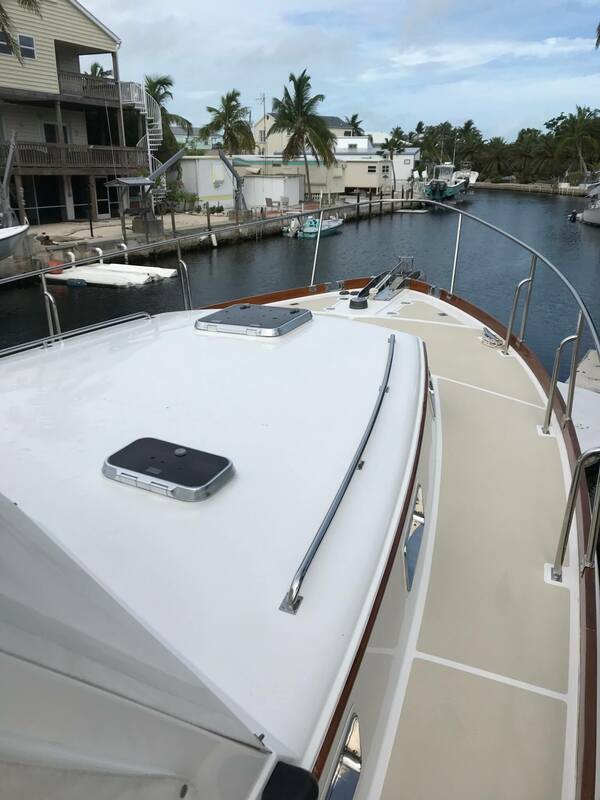 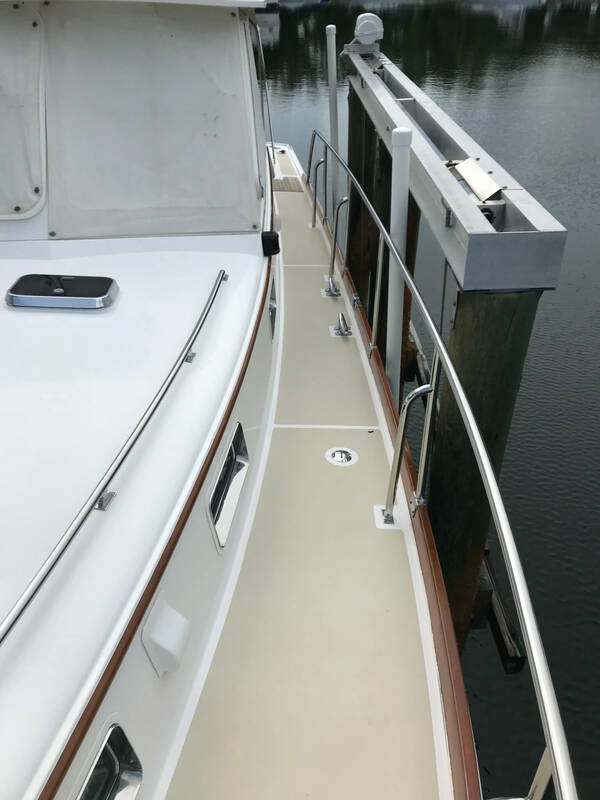 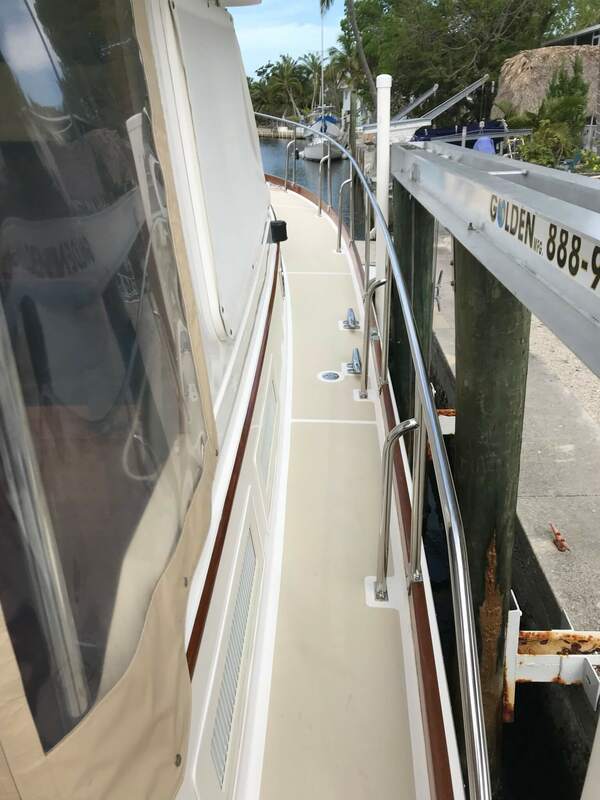 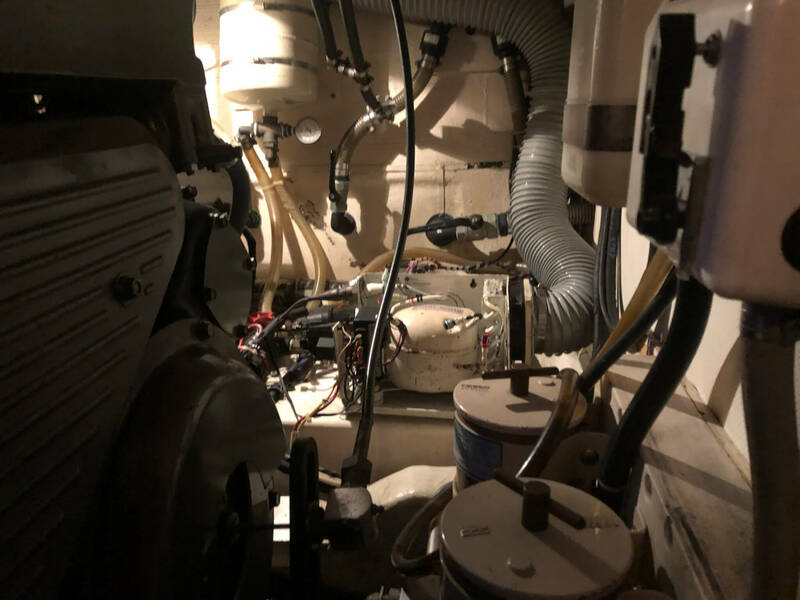 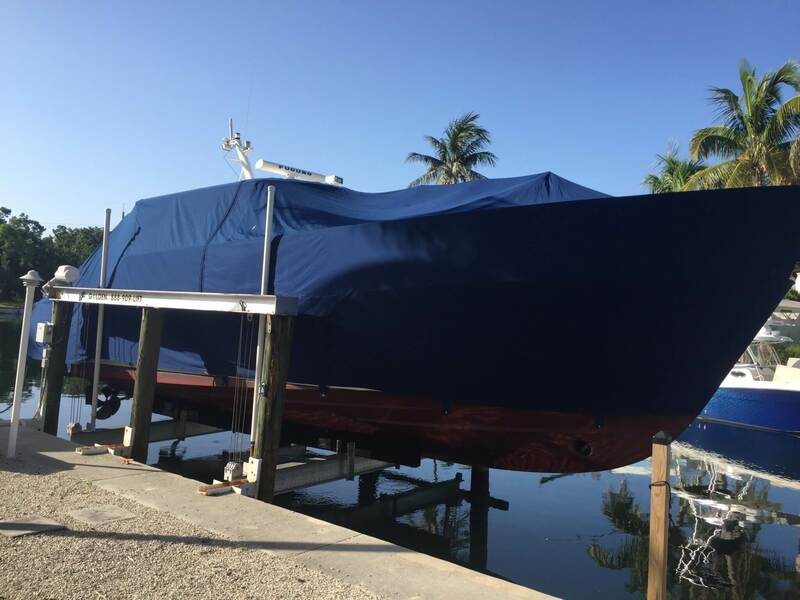 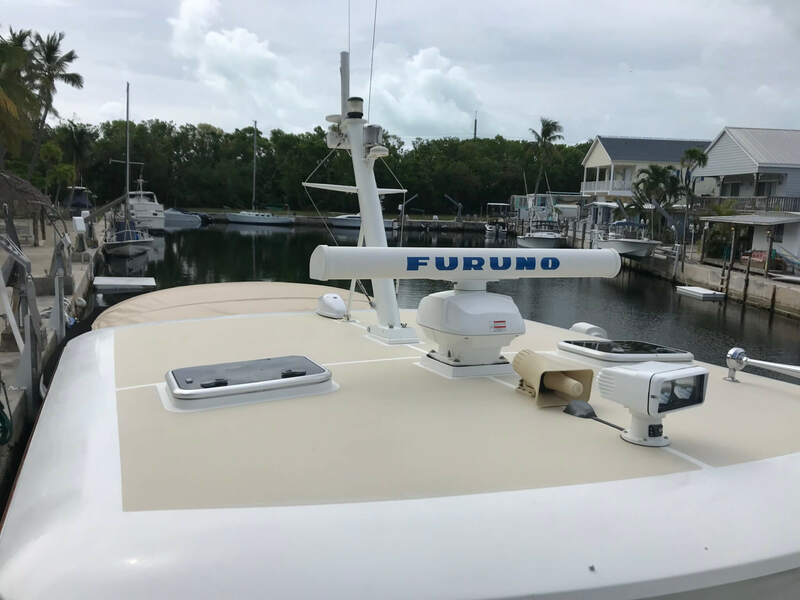 She is a one owner boat, kept on a travel lift it’s entire life and covered with a full hull and deck cover to protect her from the Florida sun when she is not being enjoyed by her Family. 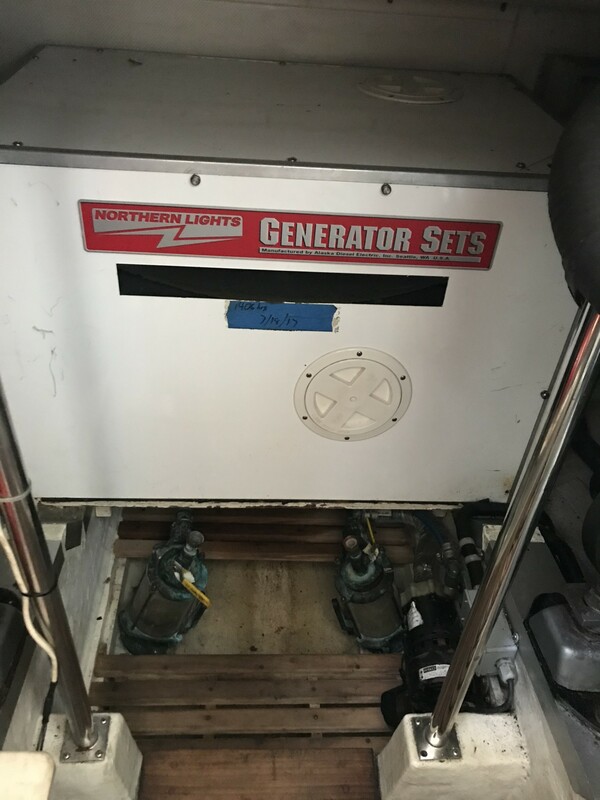 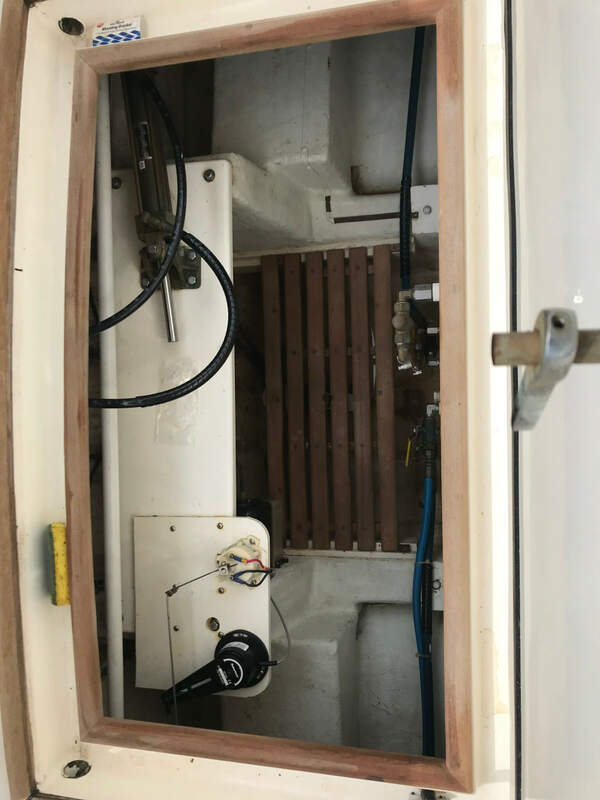 The motors are rinsed with fresh water after every use, negating corrosion. 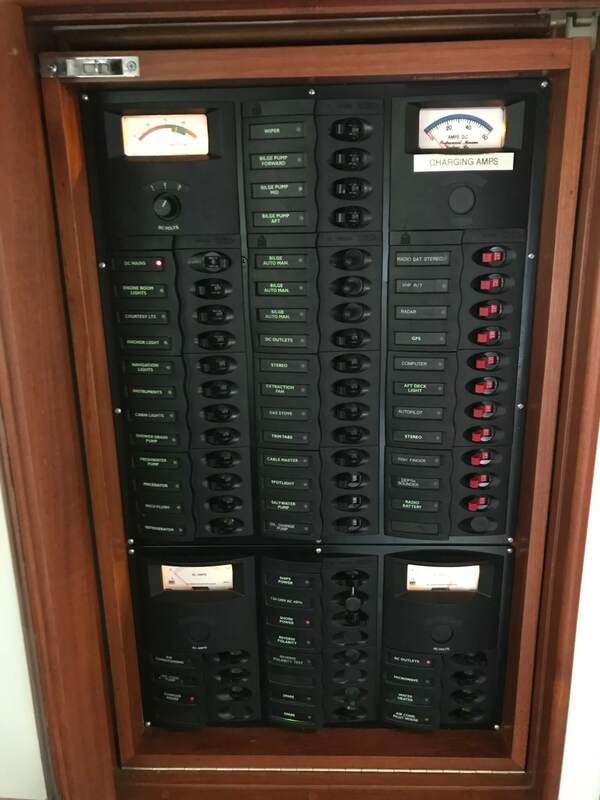 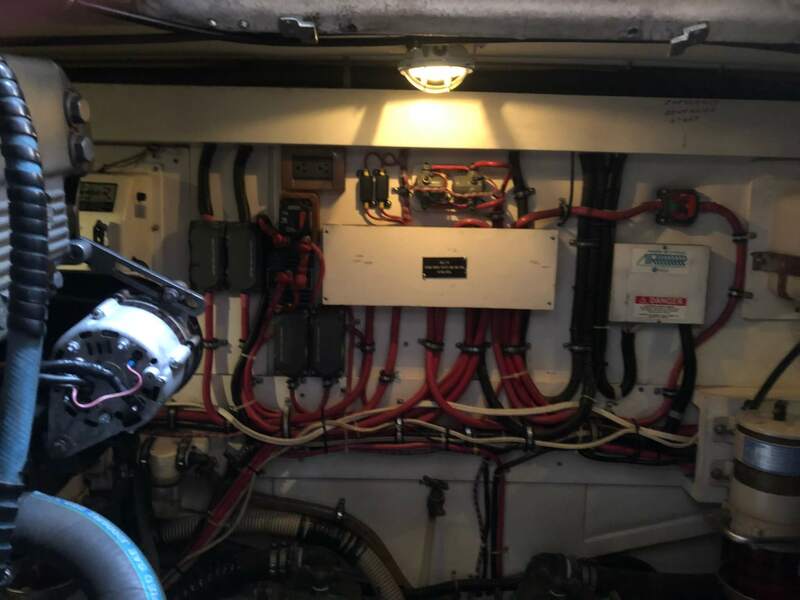 She has a care taker that runs every single electronic and piece of machinery at least once a month. 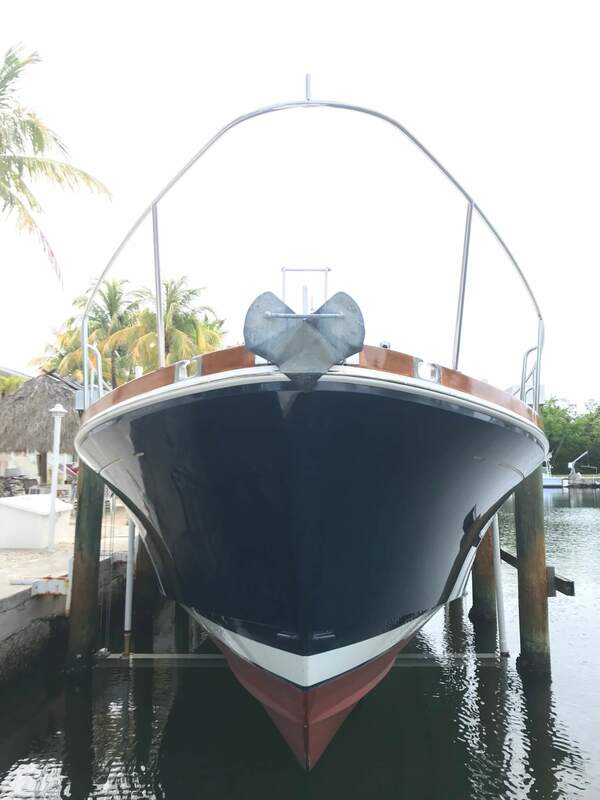 Drawing only 3’8″, she’s perfect for the Bahamas, or any other island hopping you plan to do. 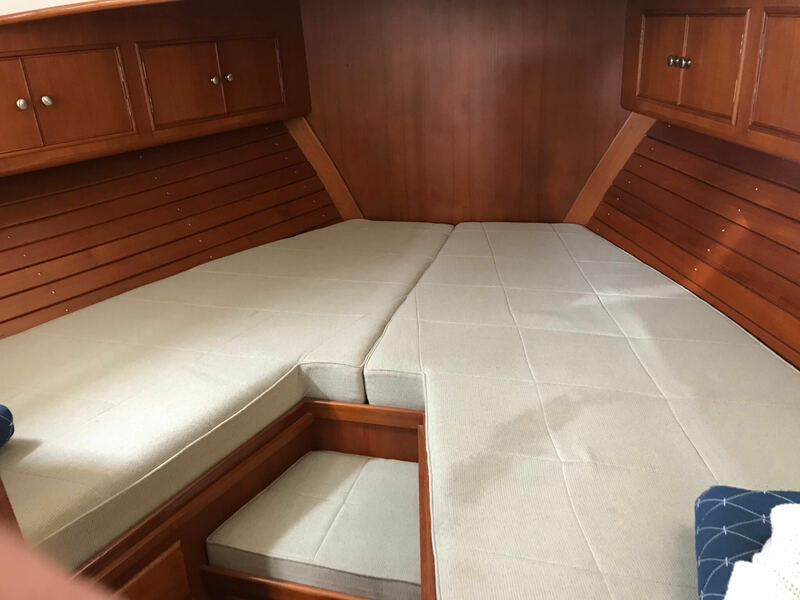 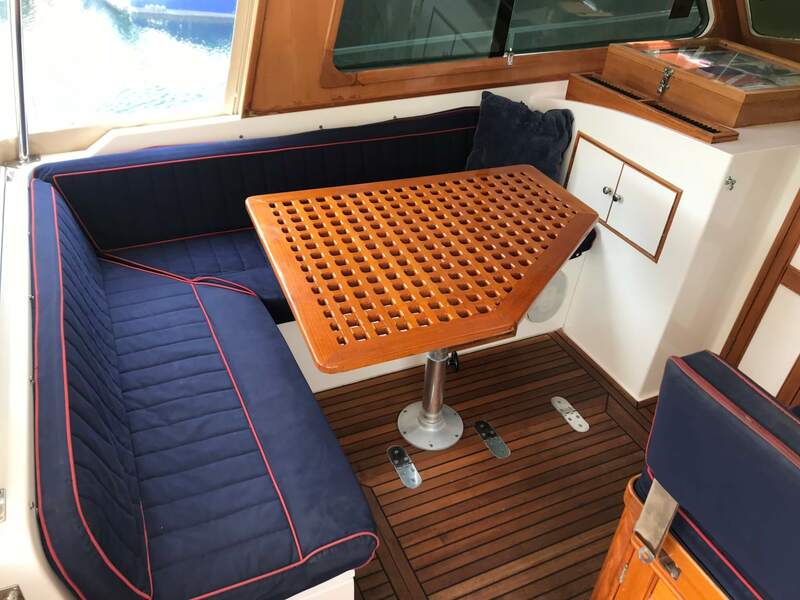 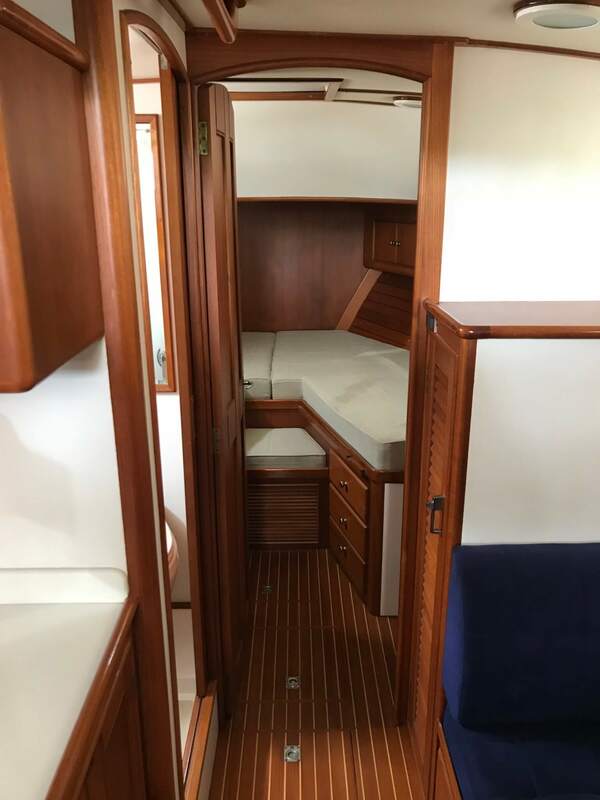 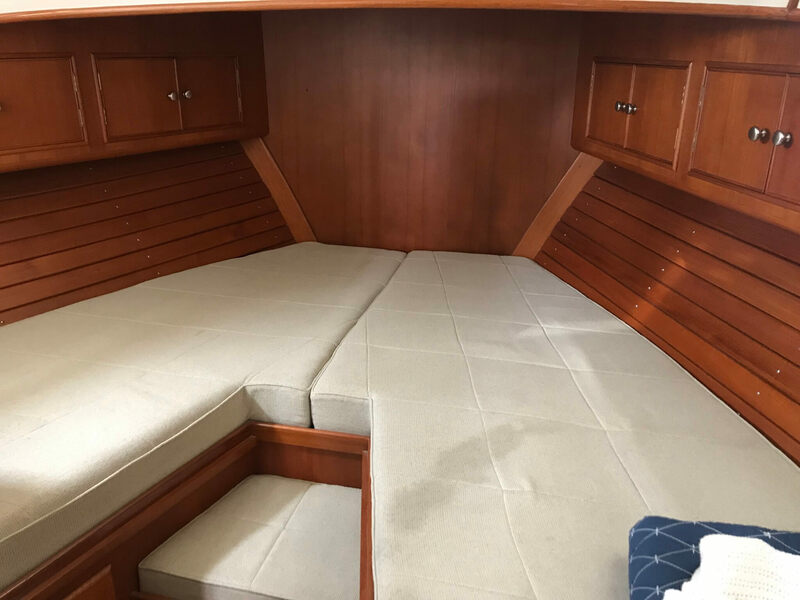 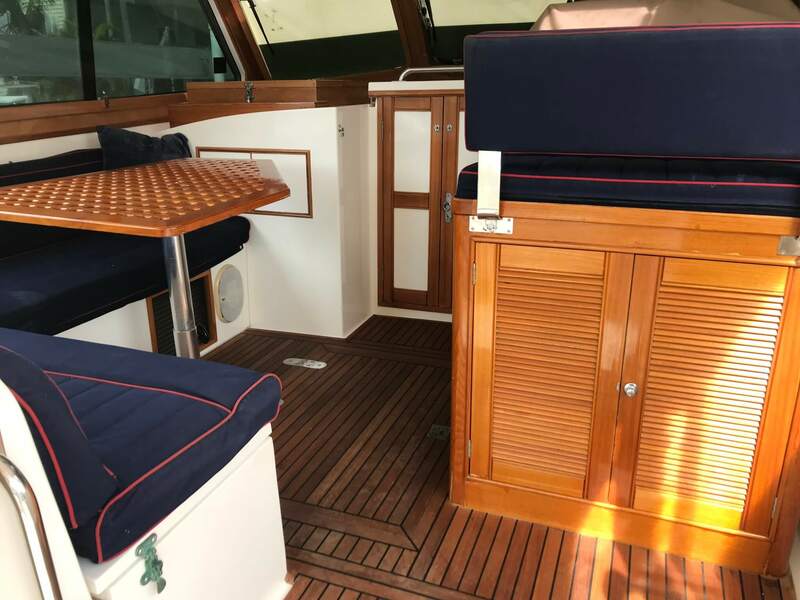 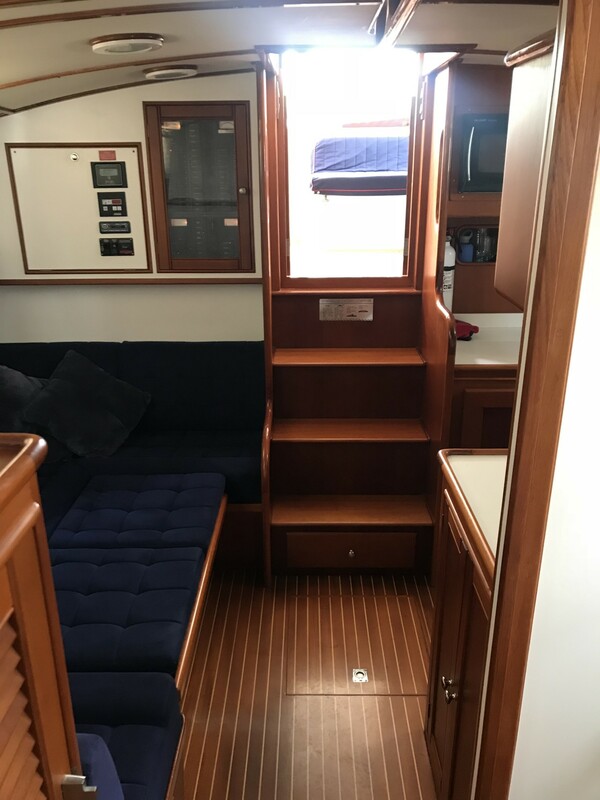 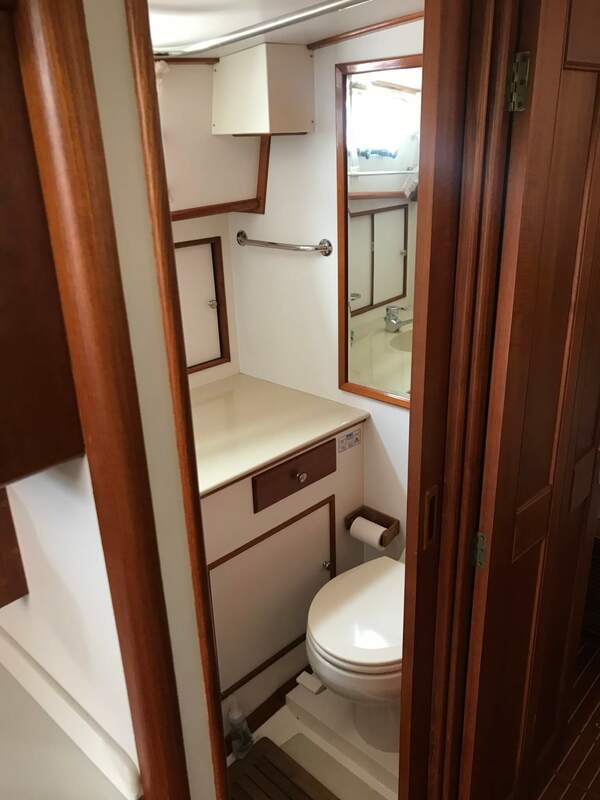 Her wide open cockpit and salon leave plenty of space to sit back and relax, and her voluminous cabin allow you to spend your downtime in total comfort.